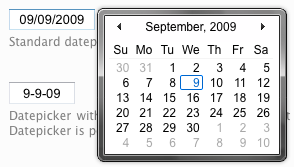 For almost any webapp, it's critical to be able to enter dates. But how do you ensure that people enter them in the right format? How do you make it look good? The easiest answer to both of these questions is to use a calendar object of some sort. This not only can look great and restrict user input, but at the same time it makes your webapp far more usable, as now users can select the date in a quick-click, instead of having to type anything in manually. 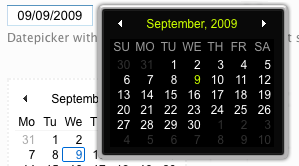 The best calendar (date picker) I've found so far is vlaCalendar, based on the MooTools framework. They have an AJAX version that runs on PHP, and a non-AJAX version that could be added to any environment. Anyhow, it's easy to use, and super handy. Just thought I'd pass it on.